We host Christian Science speakers on topics of individual and community interest. Notice of an event will be posted here. We also hold a Thanksgiving Day worship service at 10:30 a.m. at our church. 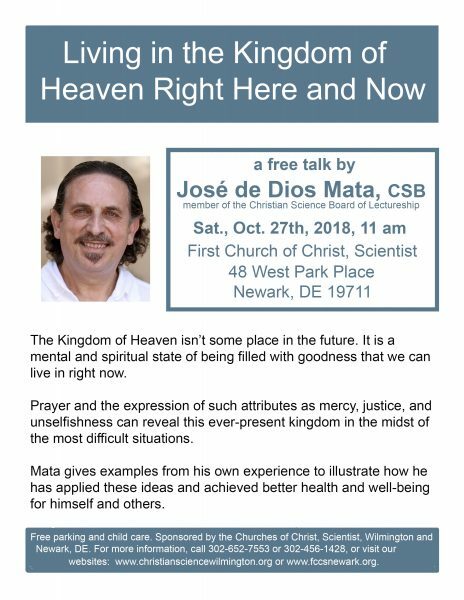 Join us for a free talk! Wednesday Testimony Meeting: 7:30 p.m.